Singapore has a number of parks and reserves where one can escape the noise and crowds. My favorite spots to go cycling are East Coast Park and Coney Island. Ubin Island is also great. 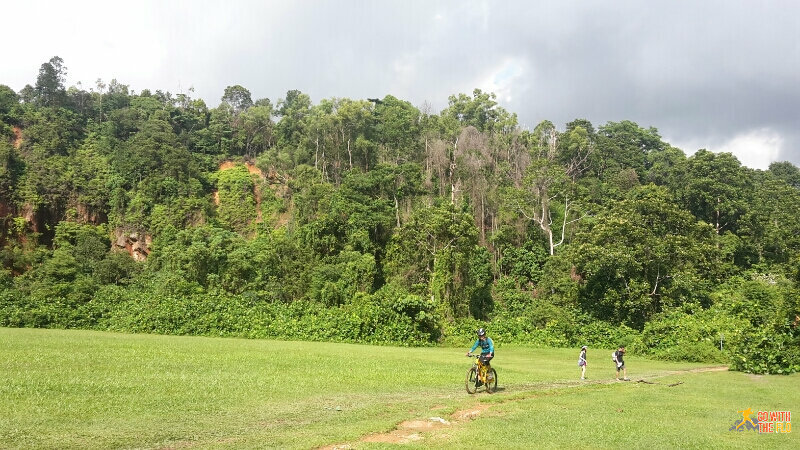 However so far, we’ve only gone cycling in a casual way which was about to change as a friend recommended us to rent mountain bikes and hit the trail at Bukit Timah Nature Reserve. Bukit Timah is the highest point in Singapore with an impressive elevation of 163m. 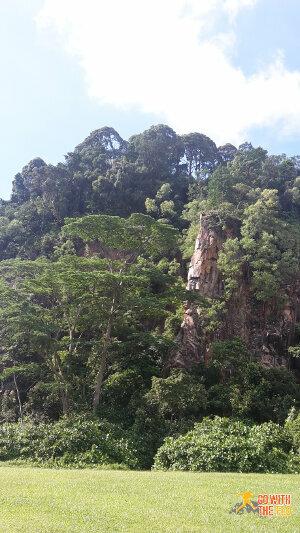 However it is also on of the largest areas of primary rain forest left on the island. We met early in the morning at Byx, a mountain bike rental shop where you can get decent bikes and helmets for S$40. The trail is about 6km long and took us around 1h20mins to complete. It was a lot of fun! Make sure to bring plenty of water (at least 1.5l per person) and go early.